Buy all three of Sally’s books and save a whopping 25%! 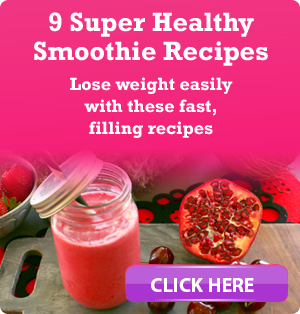 Surely the easiest way to kickstart and conquer your weight loss forever! 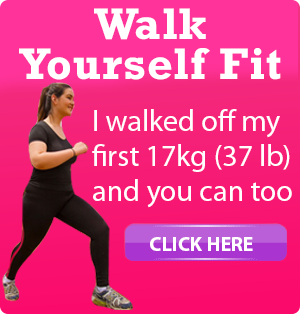 Read the inspirational story of how Sally halved her weight . . . and doubled her life. 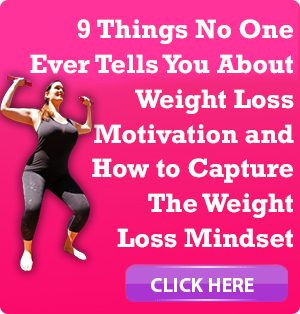 This book follows the step-by-step approach Sally developed to transform herself from a food-loving, exercise-loathing workaholic to the happy, healthy and (mostly) wholesome person she is today. 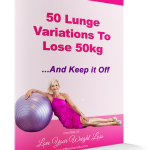 Refreshingly honest, Sally’s mixture of creative yet practical strategies show you fun and worry-free ways to efficient and effective weight loss. This book is what everyone needs to follow in Sally’s footsteps. It’s time to ditch the diets and embrace good eating with fast, healthy filling meals that are easy-to-prepare. This book contains the foods that Sally eats everyday – 100+ practical and proven recipes that are delicious, nutritious and expeditious. It also features extracts from her food diaries and a wealth of tips and snacks to try (as well as trick and traps to avoid). 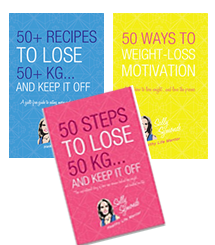 Sally gives readers the ten simple rules she lives by in relation to food, explains why diets don’t work for long-term weight loss, and why most people who do lose weight eventually regain it. Sally also shows you how to cut through the minefield of misinformation that most food manufacturers and retailers are feeding us today and offers an easy to follow guide to the role hormones play in weight loss. Sally shows you how to eat your way into becoming one of “those people” who never has to worry about their weight again!